Who is the biggest YouTube star you can think of? 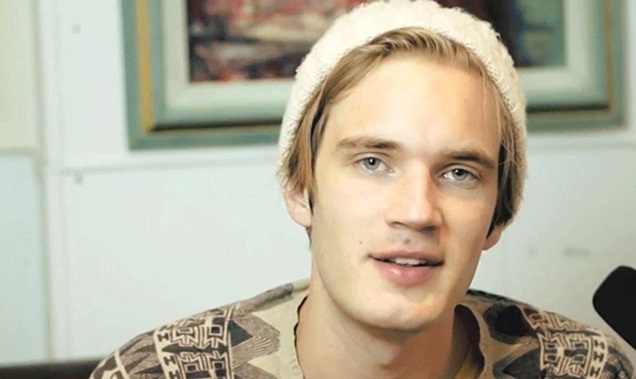 If 24-year-old Swede Felix Kjellberg, aka PewDiePie, did not leap to mind then you are definitely not of the ‘Pewd’ generation. Nor are you on the same page as Disney, which earlier this year paid a staggering $950m (£580m) for Maker Studios, the multichannel network that counts PewDiePie as its biggest star. The Disney/Maker hook-up is an example of the long-discussed convergence of online and traditional TV finally happening. Maker is Disney’s doorway to the millennials, those fickle youngsters so sought-after in our marketplace, who Disney is frightened to death of losing. Maker Studios chief content officer Erin McPherson is realistic enough to admit that Maker is only as good as its talent and audience reach. That’s how convergence is going to work. According to McPherson, Maker will “cross-pollinate” its channels with “classic Disney IP” and create new “short-form expressions” of that IP. It will also take major YouTube talent like PewDiePie and mix it with “the Disney array of brands”. But will the recipe work? The millennials watching Maker flock in droves to PewDiePie (he has a reported 30 million subscribers and receives $4m a year in advertising monies) for videos of him playing and commenting on video games (no kidding). He’s cute and he’s funny. He’s the Jimmy Fallon and Jon Stewart of gaming all rolled into one, according to McPherson. And gaming videos? Well, she believes they are the “new ESPN” for this generation. Which is why she plans to offer him lots of “support” to stay with Maker when his contract comes up for renewal in December. The difference between online and TV is becoming so blurred as to be near-invisible to many young viewers. Disney announced at Mipcom that it will launch “Maker blocks” of programming on several of its own cable TV channels, and will make them available to other broadcasters. As Fremantle Media has done with Vice programming, the idea is to offer broadcasters tasters of online content packaged for linear TV distribution. McPherson, who only joined Maker a year ago from Yahoo!, says she wants Maker to be a “mixing ground” for content that works both online and on TV. Hence it has signed a deal with documentary- maker Morgan Spurlock to launch a series of factual strands described as a cross between TED Talks and reality TV. Spurlock is co-producing Maker’s Smartish series, which will run to 42 episodes of between 5 and 11 minutes. The aspiration is that Smartish becomes a cable channel in its own right. It’s not just Disney that is attracted to this area. In March, Warner Bros led an $18m (£11m) investment in Machinima, a rival online gaming network, and last year Dreamworks bought kids-skewing online video network Awesomeness TV. These new online formats are where it’s at – and it seems that convergence is just as much about talent as it is about platforms.